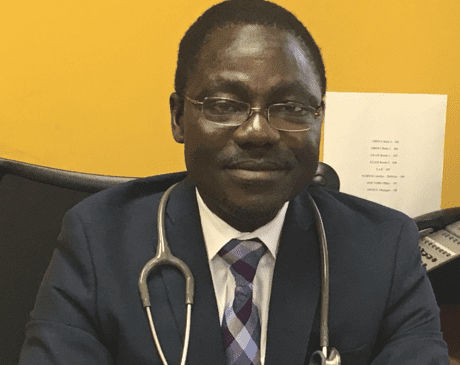 Dr. Sikiru A. Gbadamosi of Sikiru A. Gbadamosi, MD LLC is a leading primary care physician serving the community of Edison, New Jersey, and the surrounding areas. As a primary care physician, he focuses his practice on preventive medicine, teaching his patients the importance of regular exercise, both indoors and out, and making smart food choices and minimizing overindulgences. This is not only a major part of Dr. Gbadamosi’s practice, but his lifestyle as well. As a primary care physician, Dr. Gbadamosi is your healthcare manager taking care of all of your general medical needs. He performs annual physicals, updates vaccinations, reviews bloodwork, and manages medication. He is also well-versed in treating chronic medical conditions such as diabetes, high blood pressure, respiratory conditions, and gastrointestinal issues. Dr. Gbadamosi has many years of experience working in emergency rooms as an internist. If you have an urgent medical condition, Dr. Gbadamosi can see you right away, offer a diagnosis, and provide the necessary treatment. Common emergencies Dr. Gbadamosi takes care of include fevers, infections, diarrhea, and vomiting. His office is also equipped to drain and irrigate abscesses, boils, and cysts. Dr. Gbadamosi is a worldly physician with many years of experience. He attended medical school at the University of Ibadan in Nigeria and completed his residency in internal medicine at Brooklyn Hospital Center, Downtown Campus. He is a Diplomate of the American Board of Internal Medicine.